Our department provides fire protection and emergency medical services to the cities of Afton, Lakeland, Lakeland Shores, Lake St. Croix Beach and St. Mary's Point. 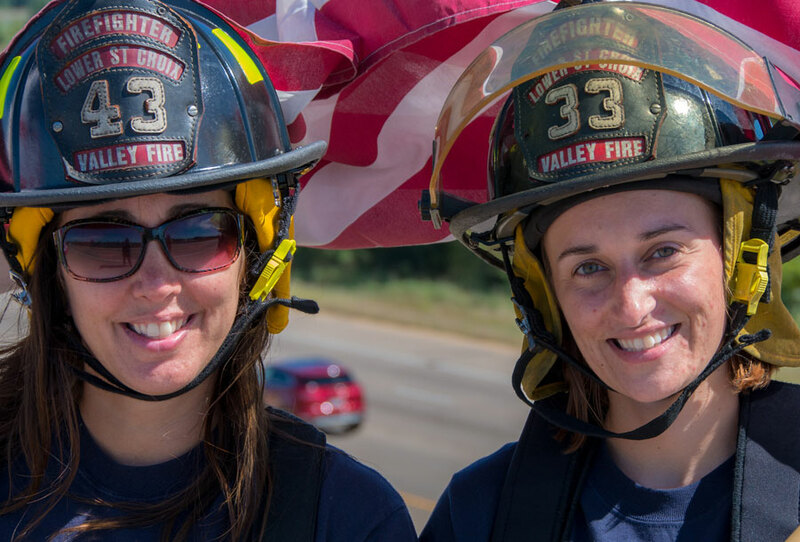 Our members are dedicated to serving our communities, friends and families. The Lower St. Croix Valley Fire Protection District was formed in 1972 when the communities of Afton, Lakeland, Lakeland Shores, Lake St. Croix Beach and St. Mary's Point signed a joint powers agreement. This agreement dissolved the departments of Afton and Lake St. Croix Beach and created the Lower St. Croix Valley Fire Department which serves all five cities. Our primary service area includes approximately twenty-five square miles. The service area begins at the eastern border of Woodbury extending to the St. Croix River. The northern border generally starts at federal Highway I-94 and runs south to Afton State Park. Our fire department operates with two engines, one tender, two grass rigs, one basic life support ambulance, one fire/rescue boat, and multiple utility vehicles and trailers. We respond to approximately 450 calls each year and are part of a joint coalition with five other county departments that comprise the Washington County Fire Department Dive Rescue Team. If you're in need of a burn permit, interested in taking a CPR class, or have other questions, call or email us today and we’ll respond as soon as possible.